Scott Leithead is the founder and Artistic Director of the Kokopelli Choir Association and TIME Association. 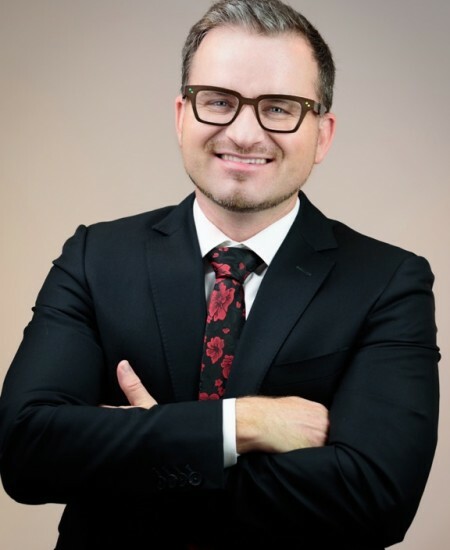 He has been invited to conduct provincial and state honour choirs on twenty-one occasions and he has presented workshops in North America and beyond. Notable notable appearances include: adjudicating the Tampere International Festival in Finland; conducting the 2013, 2015, 2016 and 2017 Ellison Canadian Honour Choir; and headlining the 2017 University of Toronto Summer Conducting Symposium. He has adjudicated both the ACCC National Competition for Amateur Canadian Choirs and the Kathaumixw International Choir Festival (2014 and 2016). Under his direction, Kokopelli was the winner of both the 2015 CBC National Competition for Canadian Amateur Choirs and both the 2015 and 2016 Canadian National Music Competition. Scott has a passion for music from southern Africa, and he has been invited to work with choirs in South Africa and Namibia on numerous occasions. In 2008–2009, Scott was on sabbatical in Namibia, where he worked with the Mascato Youth Choir and many other choirs in southern Africa. Scott’s passion for innovative and unique choral music experiences has shaped the direction of the Kokopelli Choir Association. Scott is a longtime member of the advisory committee for the Canadian Rocky Mountain Music Festival. He is also past president of the Braille Tone Music Society and three additional national boards in Canada, as well as the National Youth Music and Art Development Foundation of South Africa. In 2017–2018, Scott will present clinics and workshops across Canada and return to conduct numerous honour choirs, including the 2018 Ellison Canadian Honour Choir (Toronto), the BCMEA Youth Honour Choir (Vancouver), and the SMEA Youth Honour Choir (Regina). In addition, he will adjudicate festivals across Canada. In February he will be the guest conductor of the ISSEA Festival featuring choirs from across Africa in Nairobi, Kenya. In April he is excited to be a part of the Shallaway 25th Anniversary Celebrations in St. John’s Newfoundland. He will also return to St. John’s in July to present at Podium 2018. Scott was awarded Choir Alberta’s top honour, the Richard S. Eaton Award, in 2015. He also received Edmonton’s Salute to Excellence award in 2016.